Jungle Red Writers: What's Your (Creative) Type? HANK PHILLIPPI RYAN: How did you think of that? Where did that idea come from? How often have we wondered about that or been asked that? How often have we tried to untangle and understand our own thought processes? How do the successful people do it? Those of us who do something creative—writing, or painting, or music, whatever it is—why are we the ones who feel compelled to do so? If we understood our own creativity, could we-- be better at it? Which one are you? Turns out I’m a—well, first, let’s hear more from Meta. HANK: Can you remember a time when you were completely engrossed in a creative activity as a child? How has that memory shaped you as a writer? MetaWagner: When I was a kid, I’d wake up on Sunday mornings way earlier than my parents or my sister. Still in my PJs, I’d sit on my bedroom floor and write little poems and stories during those hours of solitude and put them in a shoebox that I kept in a secret hiding place. I don’t really know why I felt the need for such secrecy! There was something about the early morning quiet that allowed me to just be in the moment, without anything else to do. It was pure. It’s harder for me to find that pure experience now. But I think where I come closest is when I’m on deadline and there’s no time for distractions – I’m focused and there are just my ideas and my words and my desire to make the writing sharp, mostly for my own satisfaction. Hank: You’ve developed the concept of the five creative types. How did you come up with it, and what are the types? Meta: I teach a class at Emerson College that asks the question, “Why do people create?” I looked into hundreds of famous creators in all the arts, from Ernest Hemingway to Meryl Streep to Lin-Manuel Miranda, and I discovered that they have such a clear understanding of their reasons for doing creative work. At the same time, I, personally, kept coming up with new book ideas that I’d be really excited about but then abandon out of fear or doubts. Sound familiar to anyone? I wondered, what if we all could become motivated like the masters? And so I grouped their motivations into five categories and translated those into creative types: A-Lister, Artisan, Game Changer, Sensitive Soul, and Activist. Once people identify their type and become aware of their strongest motivations, they can return to these motivations anytime they have trouble getting started or breaking through creative blocks. Hank: In honor of Mother’s Day, what advice to you have for moms who want to write or paint or do anything creative but can’t seem to find the time? Meta: If you’re a mom who’s pulled in multiple directions with barely a moment for yourself, creativity might seem like a low priority or a luxury you can’t afford. But, I believe if the creative urge is strong in you, you’ll find a way. Creative expression is also important—study after study shows that it’s good for your mental health! Maybe you could spend ten minutes a day doing creative writing exercises or plotting your novel. Maybe once a month you could go to a reading at a bookstore to get inspired. And, then, as your kids get older, you might finally have the time to write the novel you’ve been “training” for all these years. Jungle Reds, tell us why writing (or any creative activity) is so important to you? What are your motivations for doing it? HANK: And as it turns out—my quiz results were very different from what I predicted! Whoa. Now I have to see what that means. And Reds and readers--what's your type? And read more about the book and Meta below! How do the world’s greatest creators produce such amazing works despite experiencing the same doubts and fears as the rest of us? 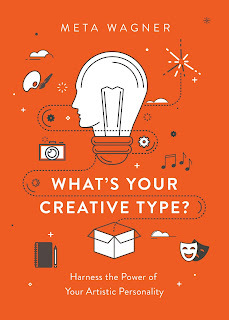 What’s Your Creative Type? cracks the code, revealing that legendary artists don’t just possess talent, they also understand their motivations for creating. Whether you write, paint, film, act, dance, develop software, or even play the ukulele as a hobby or a profession, What’s Your Creative Type? can teach you to identify your creative type (A-Lister, Artisan, Game Changer, Sensitive Soul, or Activist) and discover your motivations so you can break through blocks to finally fulfill your creative potential. 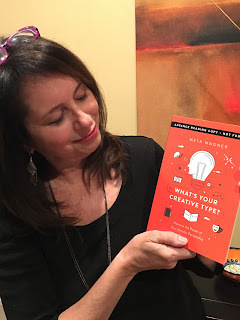 Meta Wagner is the author of What's Your Creative Type (Seal Press). 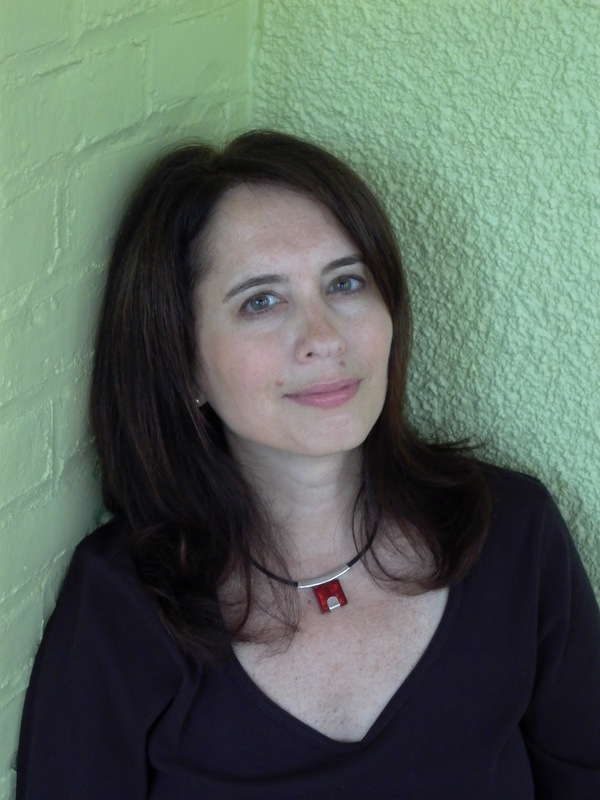 She is a contributor to Boston Globe opinion pages, was a columnist for PopMatters, and has written for Huffington Post, Chicago Tribune, Salon, and Wall Street Journal custom studios. She was also a 2017 TedxBU speaker. Meta teaches creative and communications writing at Emerson College and Boston University and also teaches a seminar on creativity that served as the basis for her book. Her background is in public relations and marketing. To connect with Meta, visit www.metawagner.com. 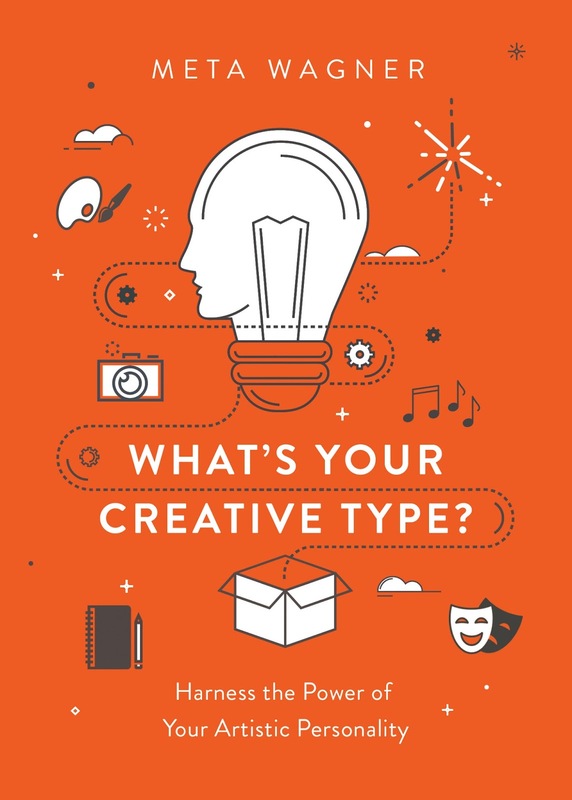 Labels: creative process, creativity, Denzel Washington, how to write, Lin-Manuel Miranda, Meryl Streep, quizzes, whats your creative type? This is quite fascinating . . . and not something I’ve really thought about before. I had no particular idea about the quiz or what type I might be . . . now I’m definitely going to read your book, Meg, to find out why I’m a Sensitive Soul . . . . I'm glad you're interested in learning more. As a Sensitive Soul, you can channel your emotions into your creative pursuits to produce something that might also connect with others. Thank you for the kind words, Hank. That was interesting - but way too limited, in my view, with several choices I wanted to pick, and the need for more depth. As I find all those kinds of tests that claim to tell you your type (Sorry, Meta, nothing personal!) I just find "typing" someone frustrating and not realistic. Anyway - Artisan. Of course you're an artisan! And that fun test is just a way to find out what doorway you might want to enter to uncover your hidden depths! And I love the quiz, and think it's a great way to get us all thinking in a different way. Hi Edith. I get what you mean because of course nobody's any one thing. But it's a tool for identifying your primary motivations for doing creative. Another option is to see which aspects of each type resonate with you! I love the quiz--it whets the appetite, makes me want to delve deeper (read the book!)... And then the insights, connections have to come from you. Oops--sorry I didn't see this earlier, Lucy. You're exactly right--some people will recognize their type right away. For others, it may take more effort to choose between 2 because they might have strong aspects within them from a second type (such as an Activist who's most driven by political purpose but certainly gets absorbed in the writing process--like George Orwell). That quiz was interesting...I am an Artisan. Not a big surprise for me, I am interested in the process more than the results. My main creative endeavour is cooking (and baking). I have seen (and read) interviews by actors and musicians who say they clearly know why they chose their profession, and do what they do. Hi Grace. I find famous artists' certainty about their "why" really inspiring! Yes, so interesting how successful artists seem to understand that they have their passion early on… And the next step is then understanding how to tap into it, right? Exactly! We can all learn to get motivated like the masters! The quiz was fun, and now I'm curious as to what it means to be a Game Changer! Meta, will you tell us more about your research? I'm especially interested in how you gathered your data, and over what period of time. How did you know what the motivations were? Yes, I'd love to hear more about this too! Meta interviewed and discussed motivations with so many fascinating people… What a notebook she must have, right? Hi Karen. Great question! The research I did was initially for a course I developed and have been teaching at Emerson College for several years. I looked at famous creators' diaries and journals, essays they wrote about their creativity, TV interviews, print interviews, profiles on them, ted talks and other lectures, and also works and studies by creativity theorists. I took all that material and recognized 5 overriding categories of motivations and translated those into creative types! I have ordered your book Meta, and look forward to reading it, then passing it along to the creative kids I mentor. Well, Gigi, cats have their passions, too… And there are no books to help us understand them! And yes, isn't that the zone? That we all have to find a way to get to. Thing is, this is what the book is for! It can help us find our way there. Thanks Gigi and Hank. What you're describing is what one creativity theorist calls being in a state of "flow." Isn't that the best feeling ever?! I hope you and the kids enjoy my book! Gigi, I have a quilt on the frames now and yes, String! New place to nap! Whatcha doing, Mom? Huh, Mom? Let me up! We used to do something like this when I had a 'real' job in managing and consulting in high tech. Was it Myers Briggs? Of course that wasn't about creativity. Useful insights. I remember taking the Kundera preference test, I think it was, and I came out testing strongly in literature and persuasive. The counselor said to me: oh, you should be a bookseller. I've gotta think she might have thought that through a little more, although… Look where I am. Dictation is not going to let me type this correctly! It is Kuder preference test! KUD ER, spellcheck! And, Hallie, what type did you turn out to be? Hallie, I think they still do those (but I fled corporate life, too, so who knows for sure!). This is directly about creative motivations, but personality definitely plays a role! And, Hank, I've never heard of that test, but doesn't being a bookseller sound really fun? Let's apply at Brookline Booksmith! Turns out I'm Sensitive Soul. Me: speechless. Rhys: I don't think there is a creative type for someone like me who has to write because if I didn't I'd have to clean the house or play bridge, both of which I hate! Actually I write the books I want to read but are not on the shelf. What type does that make me? ha ha Rhys, that makes you one of a kind, which we already knew! Oh, Rhys, so funny! Maybe we can make up a name for a type like you…xxxxxx. But I think you are described in Meta's book! A game changer! Rhys, exactly! Because there are stories we want to tell. Love that, Flora, and the fascinating part is it's not only the labels, but the point is what's behind those labels, and how we unearth who we are and how we can unleash those processes. Interesting, but like Edith, I wanted to choose several. Or none. So it's not something that really worked for me. (And I'm pretty sure I'm not a Sensitive Soul :^)) I have the feeling creativity is something I don't want to analyze too much; rather, just let it happen in its own way. Yes, isn't that the great part? We are all different types… So it's hard to choose one answer. But it's fascinating, when you have to analyze, and the questions aren't easy, right? Fascinating. I am an Artist - I enjoy the process for the process itself. Considering the amount of time I've spent swearing at the screen, pulling my hair, and moaning "this is so haarrrd!" I wouldn't have guessed that. I agree! And so funny, the questions seem easy on the face of them, but when you actually have to choose, that's when the digging deep gets interesting. And I have decided that if I ever think it's easy, I am not working hard enough. What's the movie? "Of course it's hard. If it were easy, everyone would do it." I think it's a baseball movie. I think. But I say that to myself frequently. Mary, it's certainly a brainteaser, isn't it?! I think the movie's A League of Their Own! But there IS crying in writing, isn't there? Hank: What type are you? You didn't say! Ha! I think Worrier is a part of all creative types! Hank, you are such a tease! Fess up!! I could pick at least three different types for you (which just goes to show how complicated we are) and now I'm dying of curiosity. Sorry to be so late in checking in...scrolling down to see the other comments. Hank: don't keep us in suspense! Brimming with emotion, you’ll use your art to explore your personal history and as a catharsis. Oooh, I wonder if I would have predicted that for you. Hmm.I predicted something totally different from what I wound up being. It made me reconsider my process--so interesting! Yes, Aim, that's what I would have thought for you--in the best of all possible ways :-) And I thought that's how I would come out, too. But in the first go-round, I didn't! That's so interesting, Aimee--person vs. persona = different results. Makes sense! Sensitive Soul, also. I'm also not surprised. Meta, so interesting. Taking the test made me think about my creative process in a different way. I took it once, picking the answers I felt most strongly about, and came out an Artisan. Then I took it again, picking the answers that I debated over the first time, and came out an A-Lister. Which really surprised me! I think most of us who do creative things incorporate bits of all the types. Is that what you've found in your research? Deborah, how interesting! Absolutely - I think it's good to know what MOST motivates you and to also be aware of various traits and tendencies from the other types that help guide you! Same thing happened to me, Debs! I will reveal that I first got Artisan, then went back with my second choices, and got A lister. I think we're twins separated at birth, LOL! I got the same results after taking it two times, also! Artisan and then A-lister! Meta, do you find that people become more frank about their motivations as they dig into the process of learning their type? Thanks! Very interesting that the 3 of you got the same results when taking the test twice. Hi Ingrid. I've noticed that sometimes people are a little reluctant to acknowledge their A-Lister traits. But it's so great to be aware of them and be able to even laugh at one's need for attention or audience approval--I have to admit that those are motivators for A-Listy me! I always have trouble with quizzes. Not enough choices or no answers I would normally pick. Oh well. I came out a Sensitive Soul, which did not surprise me at all. Any "artistic" projects I undertake (very infrequently) I do for me. So be very careful and do not hurt my feelings. On the other hand I have a very robust sense of humor so I can usually handle the slings and arrows! Hi Pat. I loved writing the Sensitive Soul chapter - great studies and theories about the connections between emotions and creative expression. I thought I would be an A-Lister, but I got an Artisan. Now I need to read up on it. I tend to think of writing in very business like terms - amount of pages to get written each day, promo strategy for the book, watching the market trends, etc. What I realized taking the test, however, is that what i enjoy the most it the process. I am most fulfilled when I fall down the rabbit hole and am completely immersed in another world. When I get to play with words, trying to make the experience humorous, that's when I achieve joy. Very interesting. I am really looking forward to reading up on this, Meta. Hi Jenn. What you just described is classic Artisan! I think it's great when Artisans also have a little bit of the A-Lister emphasis on publication in them so they actually share their work with the world and don't keep it in the proverbial drawer. Exactly! So funny that Debs, Jenn and I got the same double result. LOVE this! Hi Celia. I'm glad (and I always love the phrase "spot on"!). Meta, I know you're on wild book tour--but can you tell us a bit about how using that quick simple test can be used to think about how we create? I know the quiz result in one tiny step into our personal creativity processes. You wrote a whole book about it! But just a taste.. The quiz is a fun and hopefully revealing way to get someone thinking about why creativity is so important to them. My book contains stories of/quotes from successful writers from Hemingway to Didion to Kingsolver to Francine Prose and painters, dancers, filmmakers who are very clear on their reasons for writing, etc.--this spurs readers to think about their own reasons. And also some cautionary tales, advice, and exercises--a truly in-depth exploration that the quiz just touches upon! I love using the quiz as a gateway to the book--brilliant! I got Sensitive Soul, not a surprise. However, the thing about quizzes is that taken on another day, a different result is entirely possible. Also, I wonder what they call someone who keeps wanting to add choices to a quiz. Hahaha! Cooking is my husband's form of creative expression - and then I get the benefits of it! Gotta love that! Thank you for sharing this article! The book must be very interesting.